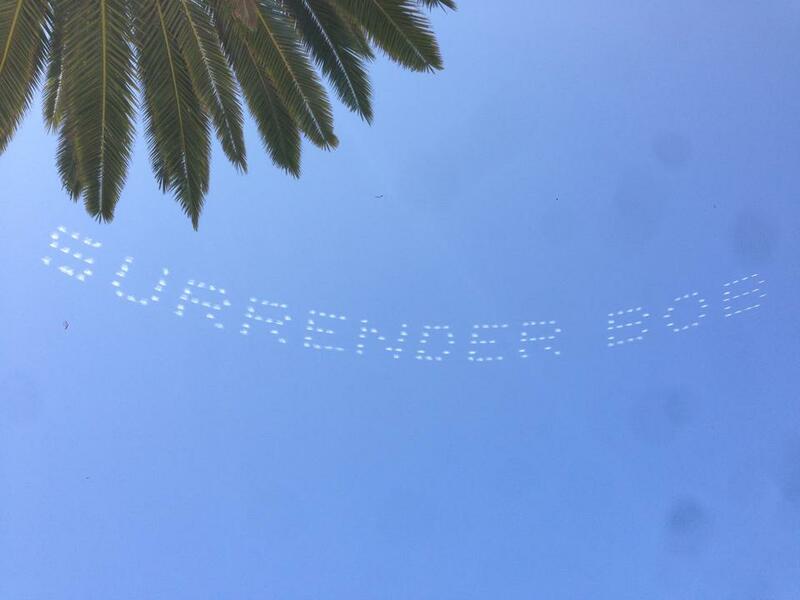 Radio ruled the top stories on the 10 News broadcasts Friday night. 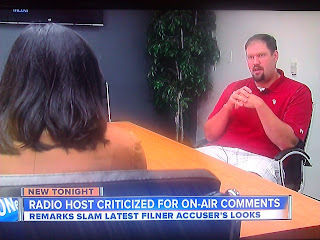 KGTV's top story has KOGO's Chris Merrill being interviewed, as he is defending comments he made on his show regarding San Diego Mayor Bob Filner's latest sexual harassment victim who has stepped forward. 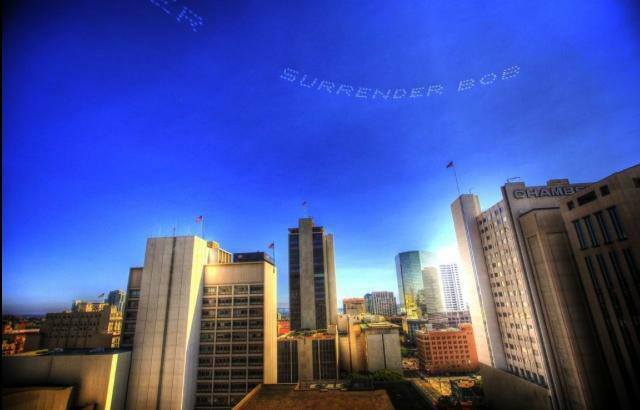 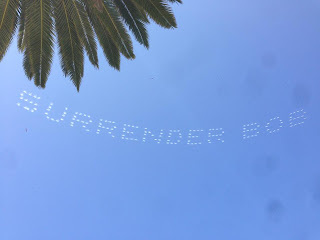 Next we look up and see sky writing used as a message to the mayor for him to step down. 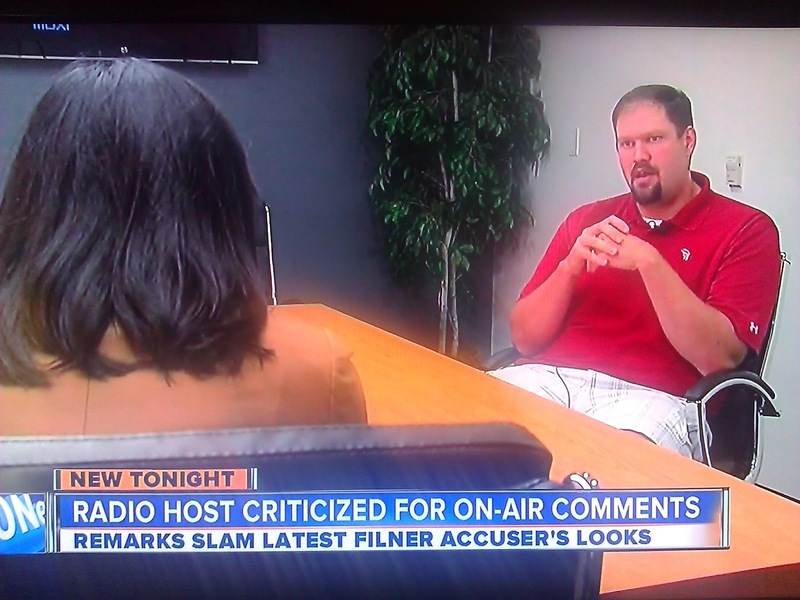 This one courtesy of the Jeff & Jer show on KyXy.